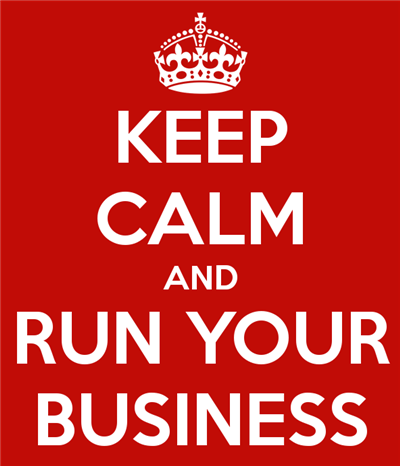 Do you want to run a business with ease? Have you considered using a mobile spy to help you? It’s a common knowledge that employers are curious about what is going on inside their offices. Employers are especially concerned with those employees who spend their working hours on chatting and sharing the confidential data and information with outsiders using their emails, etc. If this is the case, and you are among the employers trying to find out whether everything is under control in offices, you have no way out but spying on the given employer via his/her mobile phone given by the very office. You can do this by picking a mobile spy. Be sure, your employees will not be aware of your spying on them! What is more, you will be able to gain access to your employees’ messages and dialed numbers, emailed texts, and calls. Mobile spying is really magic! Technological advances in the world of mobile applications are really incredible! As a result, each and every employer can easily become a spy or a detective agent of his/her own company. Being able to secretly keep an eye on everything that is going on inside your company, provides bases for a more successful and productive business management under any circumstances. Such technological solutions enable you not only to control the work in your offices, but also keep an eye on your employees outside the office. Did you know about listening to calls via internet quite secretly? So, don’t miss your chance of becoming a secret agent on your own right in your own company! The happy thing about these mobile spy technologies under consideration is that they give you an opportunity to perform all your spying activities in secrecy. As for mobile platforms, there exist various options foreseen for Windows and iOS, Android and Symbian, Blackberry and others. Among the highly recognized mobile spy applications, you can find the following ones – “Mobile Spy”, “Phone Sheriff”, “mSpy”, and “StealthGenie”. All you need is to download and install your desired application on the given employee’s phone under concern. After being installed, the applications get down to tracking and logging the necessary information, such as calls (both outgoing and incoming), SMSs (no matter they are deleted or not), emails (no matter deleted or not), chats, posts and chats on social network sites, web browsing history, locations via GPS (intervals included), viewed videos and photos, memos and to-do list manager apps. Another great feature about these spy technologies is that they are called to function independently – they are completely independent from the phones logs. The reason why they can track and log even wiped-off SMSs, emails, and calls is that they save everything just on the spot. More particularly, after being installed on the concerned mobile phone, these mobile spy applications begin saving all the happening activities on the phone. Afterwards, they start uploading all these data and information to a remote server on the internet. As for the uploading process, it is carried out via transmissions which are of an encrypted type. So, after downloading these apps from their official site, you should create your account on the mentioned site. Thus, you’ll get access to all the tracks and logs being saved there. What is more, the latest activity logs are being both created and transferred to the remote server mentioned above. This occurs on a regular basis. As you see, such mobile spy technologies provide perfect opportunities for employers to fulfill excellent monitoring and control over their employees. So, if you are concerned with the overall success and outcome of your business ventures, do your best to acquire these great apps! Next Post How To Learn SEO From Your Competitors?